This time of year, when store shelves brim with cooking manuals and food books big and small, I begin to play matchmaker. I look over my collection of recent cookbooks and pick my favorites: those I've enjoyed looking at, cooking from, or just plain browsing. Then I decide which book to present to whom: the Anglophile, the adventurous eater, the locavore, the DIY fiend, the grilling guru, the health nut . . . you get the idea. These eight books were published this year, so chances are, your food-loving friends don't already have copies. The friend who relied on Ottolenghi, a mini-chain of prepared-food shops in London, for dinner parties when she last lived in the U.K. gets chef and Guardian columnist Yotam Ottolenghi’s latest. 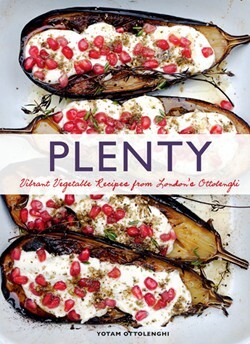 Organized conveniently by ingredients, Plenty pulls together more than 100 recipes featuring everyday items cooked in unusual ways. Bell peppers, fava beans, tomatoes, artichokes, and olives, for example, shine in an accessible paella. Roasted eggplant, sweet potatoes, and zucchini combine with ricotta, feta, and eggs for a savory Mediterranean-inspired tart. The book ought to help make my pal's Stateside get-togethers equally tasty and stylish. To the sister who wanted to travel to Seoul but couldn’t, I will present Marja Vongerichten’s book. It's the next best thing, a substitute to temper the wanderlust. 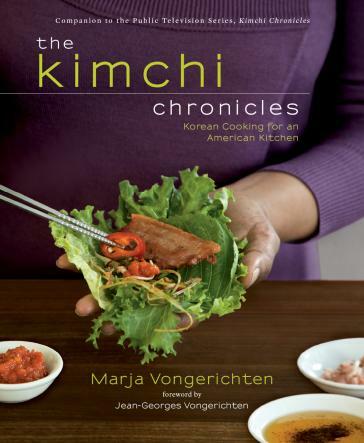 Done in conjunction with the PBS series of the same name, The Kimchi Chronicles is part memoir, part travelogue, and part cookbook. Vongerichten describes early experiences with her adoptive parents in Virginia, and the reunion two decades later in Brooklyn with her Korean birth mother. (The women connected over bulgogi and kimchi.) She visits South Korea, and plays with traditional foods and flavors when she returns home, experimenting with celebrity-chef husband Jean-Georges in their kitchen. They make a mean lobster roll, and grill sea bass marinated with Korean rice ale and doenjang (coarse miso paste). For the guy who celebrated a milestone birthday at Chez Panisse not long ago: a coffee-table volume celebrating the Berkeley restaurant’s own recent milestone anniversary. 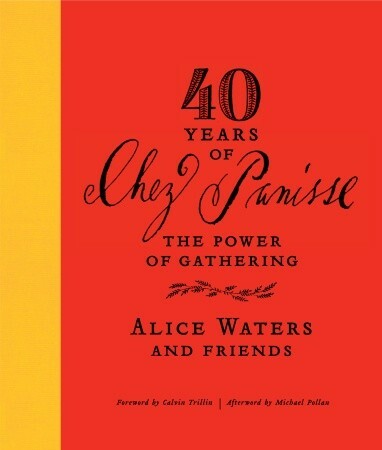 Filled with photos, menus, and reprinted event posters, as well as recollections from former and current staff members, the book captures the history and spirit of the iconic eatery, opened in 1971 by Alice Waters. It sheds light on the bakers, farmers, and winemakers who have collaborated with them, and describes Waters' Edible Schoolyard project, which teaches children about good food and healthy eating. 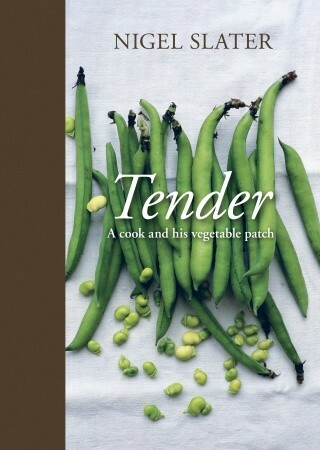 I've got a friend who was totally wowed by the images in Rachel Saunders’ sumptuous The Blue Chair Jam Cookbook. She's getting Romney Steele’s newest title, in which the shots alone are plum gorgeous. 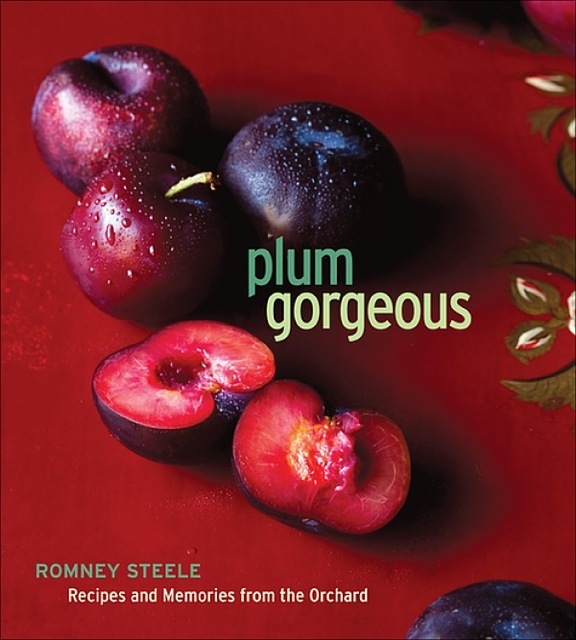 Steele, who grew up in Big Sur and lived in orchards throughout her life, showcases seasonal fruits in their simplicity. She uses them in everything from lemon curd and cherry salsa to peach gelato and apple butter. Meanwhile, photographer Sara Remington captures colors, textures, and shapes, evoking a romantic nostalgia for orcharding. To a fellow Anglophile who likes this British author as much as I do, I'm giving Nigel Slater’s substantial (more than 600 pages long!) book. A popular food writer in the U.K. and a longtime columnist for the Observer – I call him the thinking man’s Jamie Oliver – Slater here details time spent in his back-yard garden in London’s Highbury neighborhood. He has always grown things, he says — tomato plants on a window ledge in a student flat, for example, or pots of herbs out on a fire escape. That he would turn a lawn into a vegetable patch was inevitable. Slater’s tone is confident yet wistful, smart yet down-to-earth. 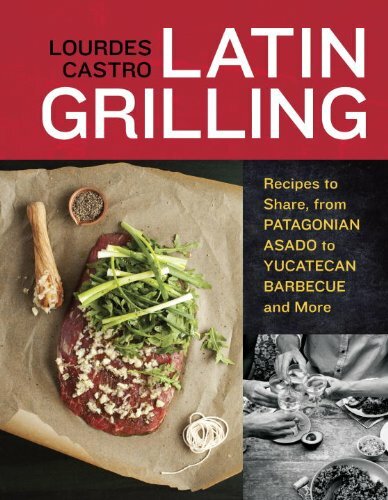 The grillmaster guy is getting Lourdes Castro’s new paperback manual. Organized by Latin American region, this book should bring different flavors to his outdoor meals, providing a nice change of pace. Castro, a New York City chef and cooking instructor, creates menus that highlight popular foods in several countries, concentrating on meats as well as starters, sides, drinks, and desserts. Her Nicaraguan ranch roast, for instance, offers instructions for coffee-rubbed rib-eye steaks as well as grilled ripe plantains and a rum-and-guava cooler. The Chilean seafood cookout includes grilled clams and chorizo as well as bacon-wrapped scallops and a meringue cake. 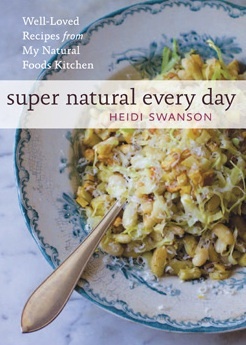 I'm hoping that the brother with a deep-fryer will benefit from blogger Heidi Swanson’s latest cookbook. A follow-up to Super Natural Cooking, this collection includes easy recipes for quick breakfasts, brown-bag lunches, and weeknight dinners. Swanson relies mostly on whole grains and natural ingredients. A spinach strata, for example, calls for milk, eggs, spinach, whole-wheat bread, and feta. It can be assembled the night before and cooked first thing in the morning. A tortellini salad combines ricotta-stuffed tortellini with asparagus, broccoli, sprouts, and avocado. I bet that Swanson will inspire my brother to cook more nutritious meals — especially when I visit. 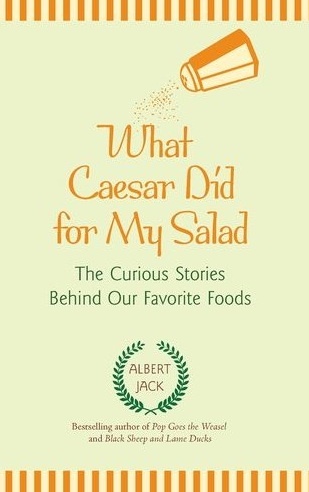 And for me, there is Albert Jack’s book. 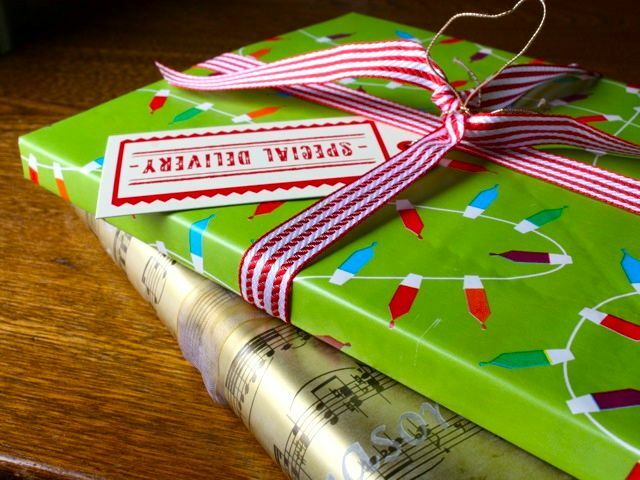 (After all, at the end of the gift-giving day, even Santa needs some love.) Jack looks at the origins of many of our favorite foods, including eggs Benedict, Salisbury steak, the Cobb salad, and dim sum. The chapter on traditional desserts (including apple pie, crêpes Suzette, and trifle) is particularly sweet. Jack examines eating and drinking rituals as well, explaining, for instance, the esoteric connection between the toast we have with jam and the toasts we make at the table with our wineglasses. His prose is informative, his writing style breezy. History buffs might quibble with Jack's blasé attitude toward historical accuracy. But I find his survey fascinating; for me, it provides a different kind of sustenance. p(bio). [christina_eng@hotmail.com "Christina Eng"] is a writer in Oakland, California.